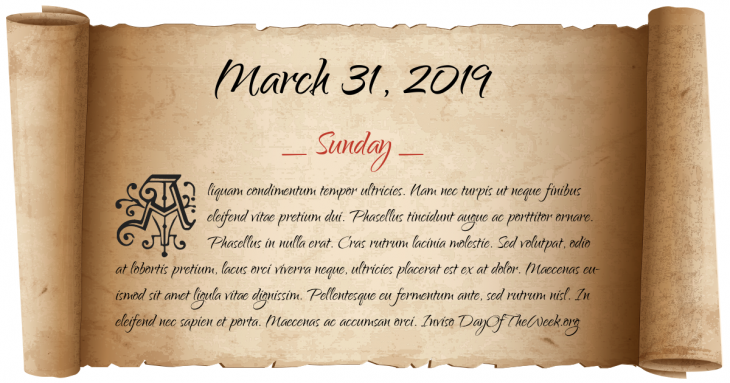 What Day Of The Week Was March 31? After divorcing his wife Minervina, Constantine marries Fausta, the daughter of the retired Roman Emperor Maximian. An Iberia Airlines Convair 440 crashes into the sea on approach to Tangier, killing 47 of 51 occupants. Nine terrorists from the Japanese Red Army hijack Japan Airlines Flight 351 at Tokyo International Airport, wielding samurai swords and carrying a bomb. Who were born on March 31?